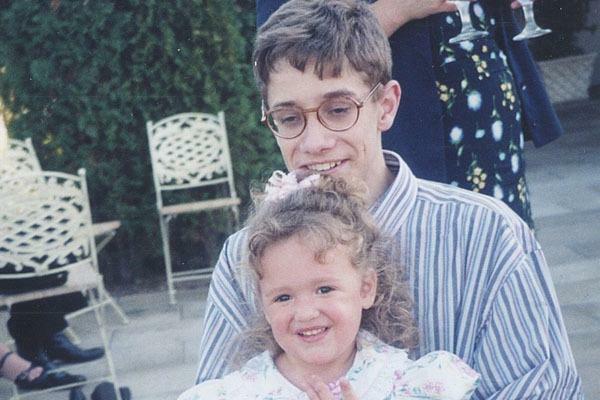 On December 9, 2007, 24-year-old Matthew Murray (pictured here with his niece) went on a killing spree in Colorado, opening fire in the early morning at a Youth With A Mission (YWAM) training center in Arvada and then later in the afternoon at the New Life Church in Colorado Springs. His spree left 4 people dead and 5 wounded, following which he committed suicide. Matthew was 1 of 2 sons born to Colorado neurologist Ronald Murray and his wife Loretta Murray. Matthew’s family was a deeply religious Christian household and he and his younger brother Christopher were homeschoooled since 1990 through high school graduation using Bill Gothard’s “Wisdom Booklets.” His family attended Faith Bible Chapel in Arvada, a church noted for its Christian Zionism beliefs. The Murray family were members of Kevin Swanson’s Christian Home Educators of Colorado, and Christopher was part of a homeschool graduation ceremony held by CHEC in 2005. Gothard himself commented on the murders after the fact, saying that Matthew and his family only used his homeschooling curriculum for “several years” and that his curriculum is “all built around the Sermon on the Mount.” Gothard added that Matthew’s problem was that “he rejected the curriculum,” pointing to Matthew’s love of rock music. “The music we listen to is a powerful force,” Gothard suggested. While Matthew’s family did not regularly attend New Life Church, his mother Loretta considered Ted Haggard — the disgraced evangelical celebrity who founded and pastored New Life — to be her “favorite pastor.” The Murray family gave money to New Life and Matthew and his mother went to a conference at the church 4 years prior to the attack. On the day of the attacks, Matthew drove to the YWAM facility in Arvada in the middle of the night. After asking if he could stay the night at the facility (and being denied), Matthew pulled out his guns and opened fire. He killed 24-year-old Tiffany Johnson and 26-year-old Philip Crouse, as well as wounded 24-year-old Dan Griebenow and 22-year-old Charlie Blanch. Matthew then drove to New Life Church. Around 1 pm, Matthew began his second attack, spraying bullets at church members leaving after church service. He struck and killed two sisters, 18-year-old Stephanie Works and 16-year-old Rachel Works — who happened to be homeschooled themselves. He also wounded the sisters’ father, 51-year-old David Works, as well as 40-year-old Judy Purcell and 59-year-old Larry Bourbannais. Matthew’s shooting rampage finally came to a halt when Jeanne Assam, a volunteer security guard at the church, managed to shoot and wound Matthew. Matthew then shot and killed himself.